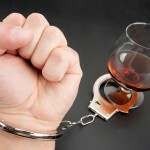 If you are arrested and charged with DUI in southern California, contact an experienced Orange County DWI attorney at once. An arrest for DUI is not automatically the equivalent of a conviction. No lawyer can ever guarantee the outcome of any particular DUI case, but in many instances a good DUI attorney can have the charge dropped or reduced or may even be able to win an acquittal for you at trial. You need to put your attorney on the case as quickly as possible, because if you are convicted, the law isn’t your only problem. You’ll also have to deal with the insurance-related consequences of a DUI conviction. Even if your DWI conviction is for a first-offense misdemeanor, and you didn’t hurt anyone or damage any property, you may be required to obtain an SR 22 document from your auto insurance company or find a company that will provide one. When your driving privileges are reinstated after a DWI -related license suspension, you’ll need an SR 22 to prove that you have the insurance once again to drive legally. When you explain to your insurance company that you need the SR 22 because of a DWI conviction, the company may designate you as a high-risk driver, and you’ll pay higher premiums. The company might alternatively decide to cancel your policy entirely. If that happens, the Department of Motor Vehicles will be notified, and you’ll have 45 days to get new insurance or your vehicle registration will be suspended. A DUI conviction remains on your driving record for seven to ten years, so insurance companies may know about your conviction for up to a decade. Clearly, you need to avoid this kind of trouble if you can. 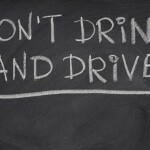 If you’re going to drive, don’t drink, and if you’re going to drink, arrange not to drive. If you are arrested for DWI, fight the charge, get the legal help you need, and call an experienced Orange County DWI attorney immediately.